Winter landscaping can help sell your house quickly, but you have to know how to make your home stand out from all those other sad, cold houses on the block. Here are some easy solutions to improve the appearance of your snow-covered yard this winter. To achieve a winter wonderland of a yard, the most important ingredient is some good old-fashioned sweat equity. If the leaves are still falling, get out your rake; if it’s winter, make sure to neatly shovel your sidewalks, porch, and driveway. And don’t neglect your bushes and shrubs during the cold months—pruning them occasionally gives the landscape a well-kept look. If you have these on hand, you can also use them to make quick arrangements for the inside of your home. 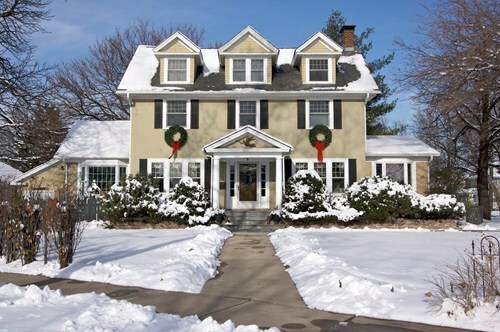 Make your house look like a postcard, and it can sell even during the snowiest winter. Whether you are looking to buy or sell in any season, give me a call.